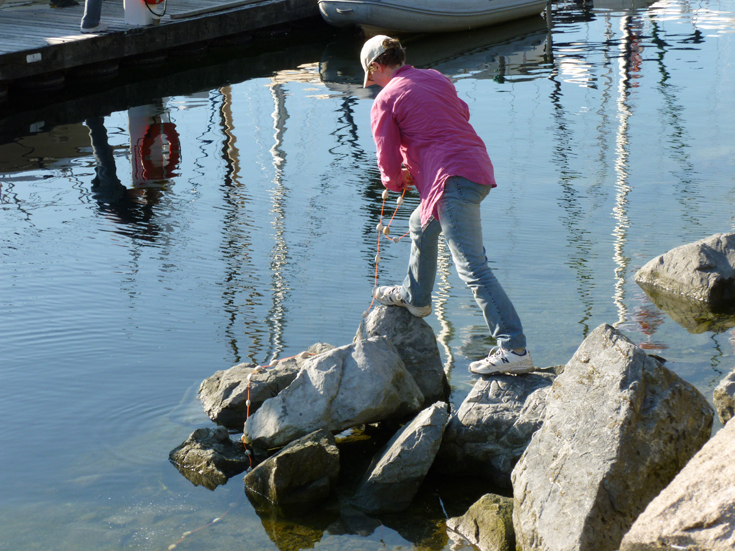 Sourcing natural accumulations of shells in Burrard Inlet, I filled the clams with concrete and joined enough for 1000 feet. 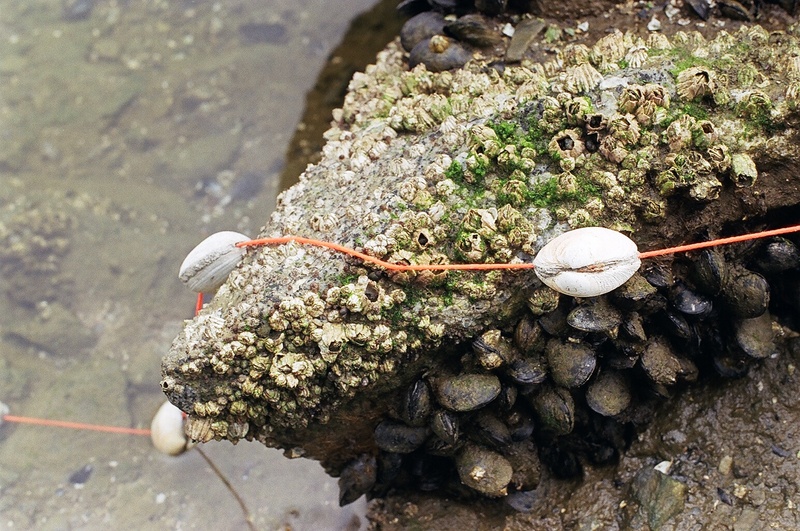 Clam Line references ideas of fishing, of weighted lines, carrying the analogy through to the catch, the clams as product, collected, processed, counted, traded, sold. 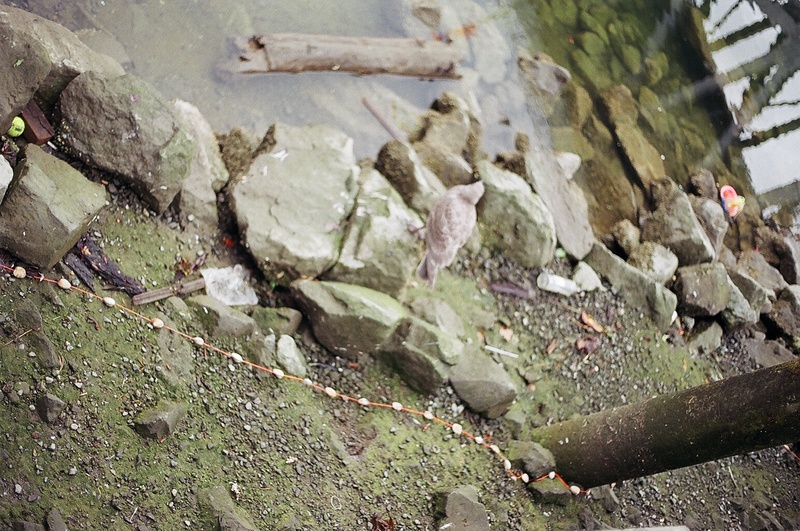 I am interested in examining the natural manipulated, as in aquaculture where nature is managed towards efficiency of harvest, regardless of impact to habitat. 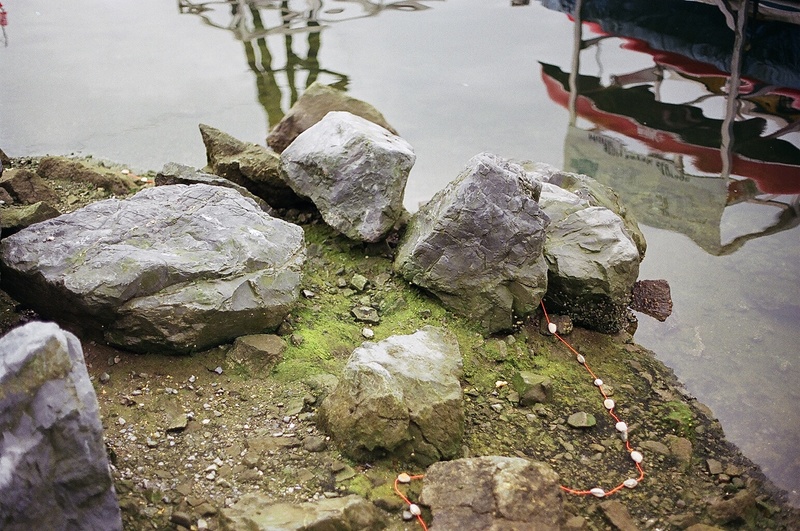 Appearing to delineate the circumference of Granville Island, Clam Line also acts as a marker – fluorescent twine being used as a tool by surveyors and builders to indicate land claimed for alternate purposes.